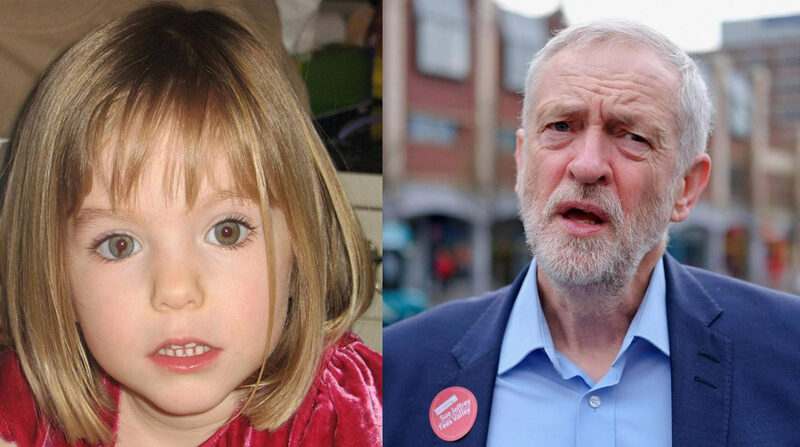 Under-fire Labour leader, Jeremy Corbyn, has been interviewed by police over the disappearance of Madeleine McCann. His alleged connection to the disappearance of McCann, who vanished in 2007, has prompted calls from both Tory and Labour MPs for him to resign. Corbyn was questioned by special investigators earlier today after new evidence claimed he was sighted near the area where McCann disappeared, the day before she vanished. An eye witness has come forward to reveal that Corbyn was seen in the vicinity of the McCann’s apartment, in Praia da Luz, in the Algarve on May 2nd 2007. Corbyn has denied being in the area, and says the allegations are preposterous. The eye witness has not been named, for legal reasons, but according to a source rode a bicycle, spoke with a very posh accent and occasionally used made up words such as ‘wibble’. This is more ridiculous fake news about me. I didn’t kidnap Madelaine McCann, and I didn’t steal the chickens from KFC either. Corbyn referred to another breaking story today from the Southend News Network, where he reportedly stole 400,000 chickens which were meant for fast food restaurant KFC. If both of these stories turn out to be true, it will be a very bad day for the Labour Leader indeed. More news will emerge as we have it. Poorly thought through this one, and I wont be sharing. Sounds tight. McCann still has the magic.